The track route shown goes round the main take and the river loop out around the wetland area. There is a bird observation tower in the middle of the wetland area. There are other side tracks to explore. The route shown is about 4 km and takes about an hour. There is a large map and sign at the Te Ore Ore Road entrance. 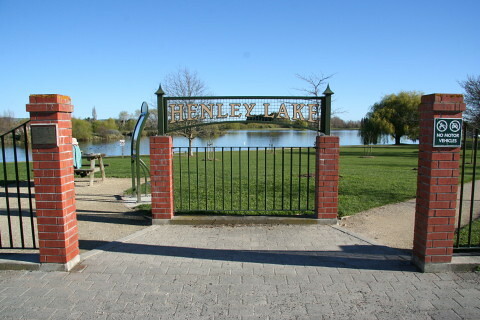 On Henley Lake can be found a range of less common bird life, including Scaup, Grey Teal, Mute Swan, Coot, Black Billed Gull and Black Fronted Dotterel in the wetland area. There are two main carparks, one on Te Ore Ore Road (road to Castlepoint) and one on Colombo Road, north end of Masterton.